The Rebel Sweetheart. : Hello 2017, Goodbye Baby Teeth! For years, I took pride in my son's picture-perfect teeth. All the more because I take extra care of his pearly whites and pay particular attention to his dental health. I take him to the dentist at least twice a year, veer him away from candies (though I allow him to binge a little during Halloween), and make him enjoy brushing whether with an ordinary toothbrush or the travel electric toothbrush with case that he always takes along whenever we go abroad. Yue at 20 months old. But alas, that picture-perfect smile could only last for so long! 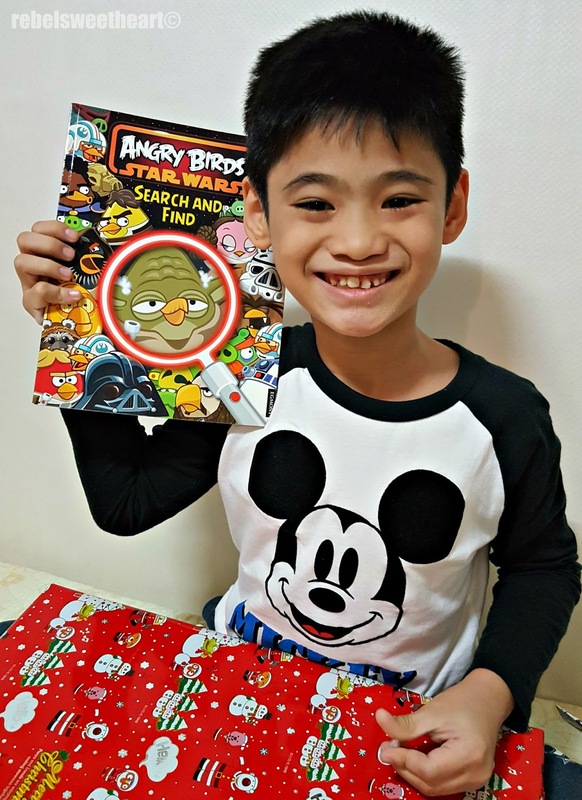 He was two months shy of his seventh birthday when one of his teeth - one of the maxillary central incisors - first fell out. From then on, his teeth alignment went from perfectly aligned to a complete disarray. Three of his lower incisors fell out in the months to follow, but the permanent teeth that replaced them seemed to be leaning towards different directions which made them look crooked. 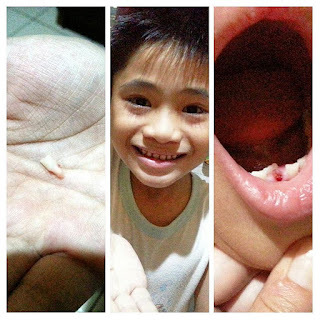 To date, he has lost only five baby teeth, including one of his maxillary central incisors. And mind you, the permanent maxillary incisor erupted first before that baby tooth came out. The same thing goes for his other maxillary central incisor - the permanent teeth has already erupted, and we're still waiting for that wiggly baby tooth to finally fall off. I was actually worried that there might be something wrong with my son's tooth transition, so I asked my dentist about it. She stated that there's no cause for concern, and that in contrast, I should be relieved that my son's teeth are pretty strong. Also, the timing of tooth transition varies between children, and while Yue's may seem to be a bit late than some of his peers, I need not be worried since he only turned eight last November. She also assured me that the gaps in between his teeth are normal during Yue's age. This is the transitional period that dentists refer to as the 'ugly ducking stage'. And under normal circumstances, when the upper jaw develops well and the canines on both sides erupt, the front teeth will align with the rest and the gap will close up. With regards to permanent teeth erupting first, she told me that patience is the key and the baby teeth will exfoliate by itself. The tip of the tongue will push the permanent front tooth forward into the space vacated by the baby tooth. Therefore, there is no need to extract the deciduous front tooth. Have you had the same experience with your kids' teeth and tooth transition? How did you go about it? My 12-yr old still hasn't lost all of hers, so you're doing fine! Every child is different! Each kid is different. My daughter had a permanent tooth coming in BEHIND her baby tooth. After a while the baby tooth eventually fell out and the permanent one moved forward. I think my daughter still has 1 or 2 teeth to lose and she is 11. I don't have kids yet! I remember freaking out because I don't think I ended up losing all my baby teeth! I was a bit late than my classmates too and I felt really bad about it. Like your dentist said, it really depends on the child. He looks so cute. I guess this is the perfect age for saying goodbye to baby teeth. I've contemplated getting electrical toothbrushes for the boys since they are still young and need assistance while brushing. And every child is different, so hang in there, that incisor will eventually fall out. It's really different. I have a cousin who was also late with this phase and his sister was way ahead! It's nice that you consulted the dentist though. Hmmm. I'm not quite sure what I'm in for yet with this, as mine are just 5 months old and teething now. I know THAT is miserable enough. But I sure am thankful for the modern technologies that we have that help when we have teeth issues!